Posted May 29, 2014 by iwadmin & filed under Iboga Retreat, iboga treatment. People from all walks of life come to the Iboga Wellness Center. Some people come for problems with addiction, depression, anxiety or all the above and everything in between. All of these problems are manifestations of one larger, underlying core issue which is losing control of your own thoughts. Instead of focusing on the “why” (such as chemical imbalances or past trauma), it can be beneficial to focus on the solution. Iboga does many things to the body and brain physically speaking, but it is important to realize the mind, body, soul connection since they are all dependent on each other. Reconnecting with yourself and your soul is necessary to heal. This is one of the things that iboga can help with. 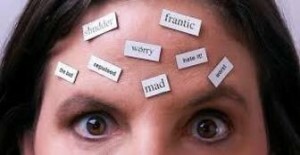 At Iboga Wellness Center we talk a lot about regaining the power of controlling your thoughts. It is something that becomes a habit once people realize that your thoughts are like trains coming and going at a train station. You can choose which train to get on and which train to let pass. You have the power to choose whether that process is very complicated or very simple. During an iboga retreat you can learn so much about yourself and break the cycle of negative thinking. The process can have its ups and downs but one thing is for sure, it is worth it. Life is too short to not live it to its fullest. Living life is an art.